Sasanian Kings. Ohrmazd (Hormizd) II. AD 303-309. 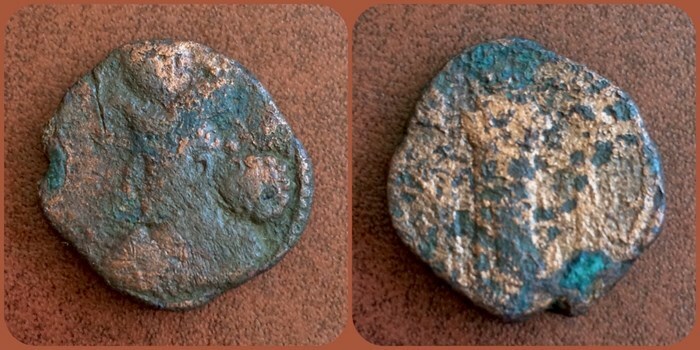 AE Tetradrachm? 25.29mm, 13.27gm. Crowned bust left / Fire altar, attendants flanking. Göbl Type Ia/3, 87. Fine, brown patina. Extremely rare.